Pick one mini 15" Small 18" Standard 19.5" Medium 21"
Sizes and stock are limited in this pattern. The Medium size for this pattern is 1 1/4" wide. All our Native American Style Beaded Dog Collars are made with hard-wearing, Kenyan, natural, free-range, beef leather and finished on the inside with a soft, goat-skin lining. The sturdy, solid brass hardware is hand cast by local artisans using recycled brass. 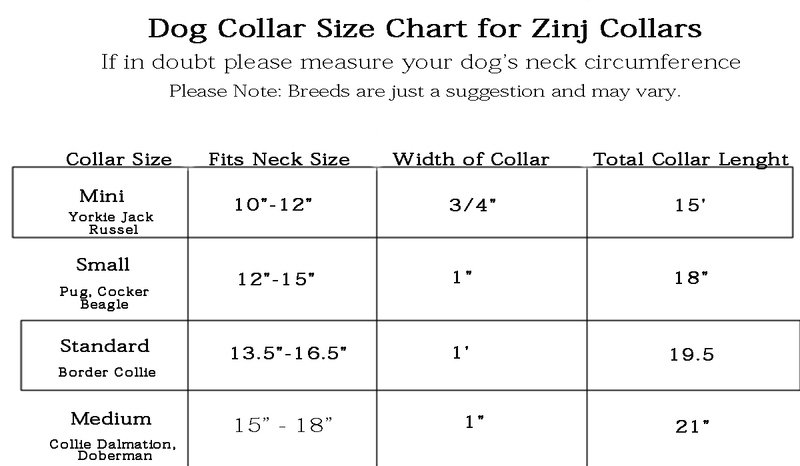 Zinj dog collars are beautifully hand-beaded with 100% glass beads, and then hand-stitched to make them exceptionally strong and long lasting. Every dog collar comes with a beaded ‘doggy’ charm.